Repser Burg or Reps (also known in the Transylvanian Saxon dialect as Räppes, in Romanian as Rupea and in Hungarian as Kőhalom) is a Transylvanian Saxon citadel located in Brașov county, south-eastern Transylvania, Romania. In late Antiquity, on the site on which the citadel was subsequently built by the German colonists during the High Middle Ages there was a Dacian fortress by the name Rumidava, but throughout the time’s passing its name was changed and it became known in Latin as Ripa (from which both the German and Romanian names of the settlement are derived), meaning stone. 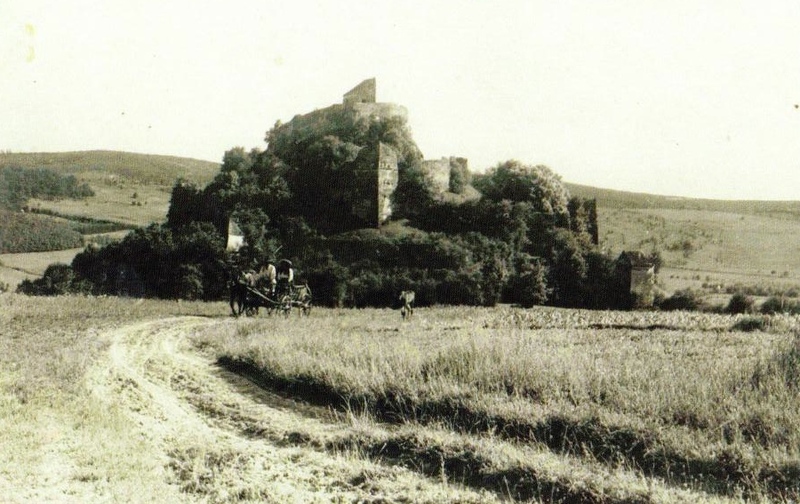 Early 20th century postcard depicting Reps (Rupea) citadel. The Reps/Rupea citadel, located on the hilltop of the Romanian small town of Rupea (numbering 5,300 permanent residents as of 2011, of which only 1.7% were ethnic Germans), was built in the 14th century by the Transylvanian Saxons, a group of German colonists brought from various regions of Germany (including Rheinland, Bavaria and Saxony) as well as from Flanders, Luxembourg and even from modern day France, starting as early as the 12th century, at the demands of the Kings of Hungary in order to protect the eastern frontiers of the Kingdom of Hungary (of which Transylvania was a constituent part for most of the Middle Ages). 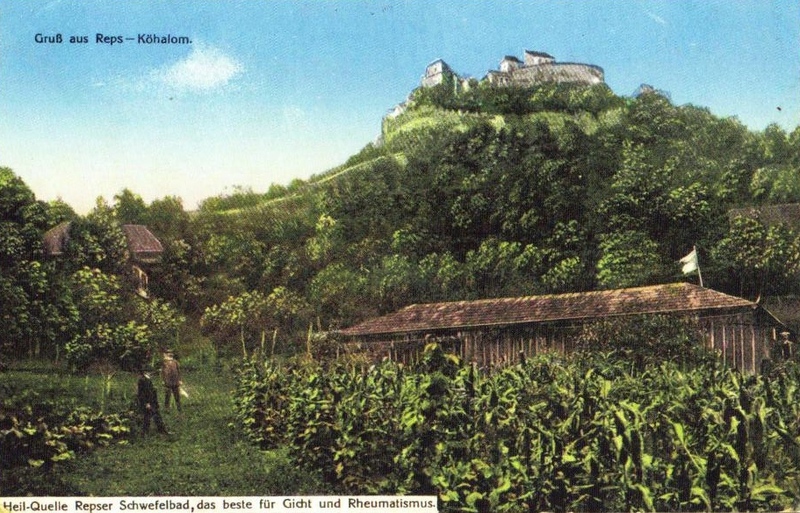 A postcard written in German highlighting the citadel on the hilltop and the surroundings. 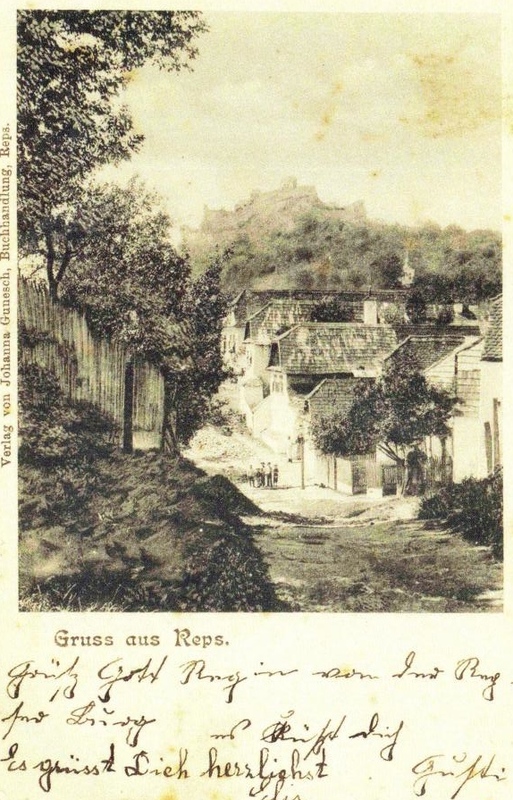 A German written postcard depicting the old town of Reps. It was later on consolidated during the 17th century, with a series of stronger fortifications and palisades, being as such mainly locally used as a means of defence and shelter for the inhabitants of the nearby villages in the hypothetical case of a sudden attack. 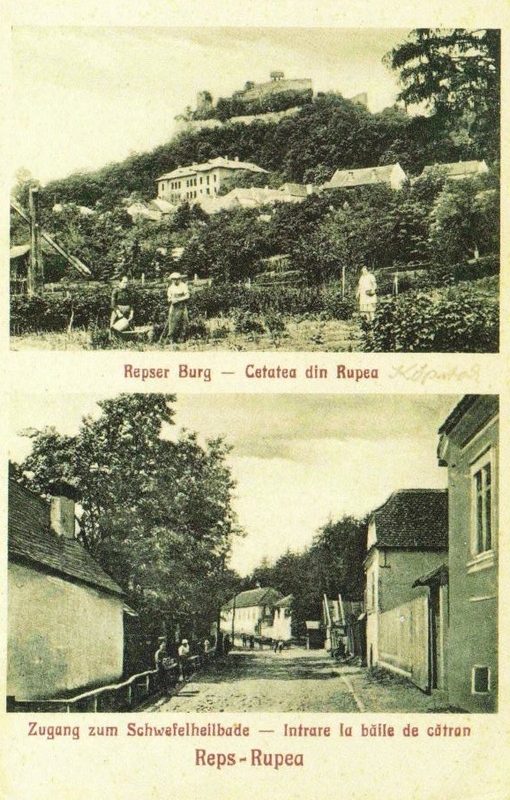 Bilingual Romanian-German postcard of the town of Rupea/Reps. 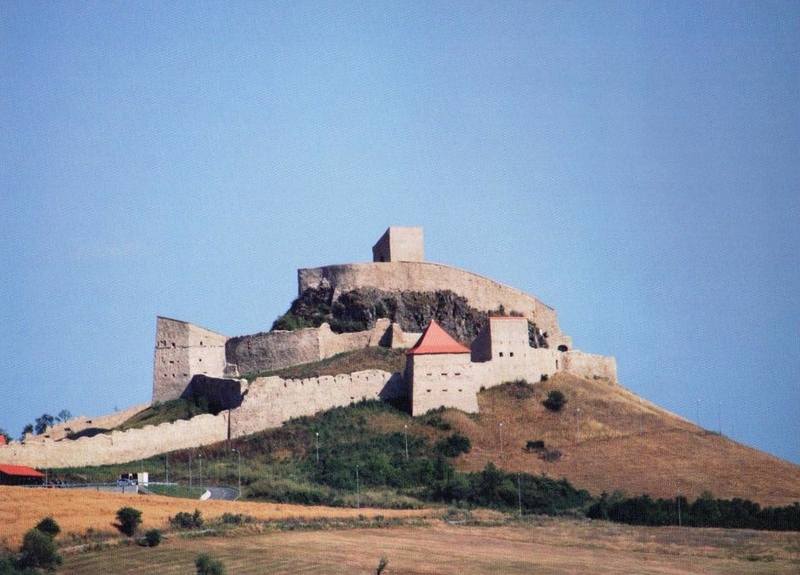 The citadel was the administrative capital of one of the Seven Saxon Seats in Transylvania. Reps represented the last redoubt of the Transylvanian Saxons against the Hungarian prince of Transylvania Thomas Szecseny and the King of Hungary Charles Robert of Anjou during the early part of the 14th century. 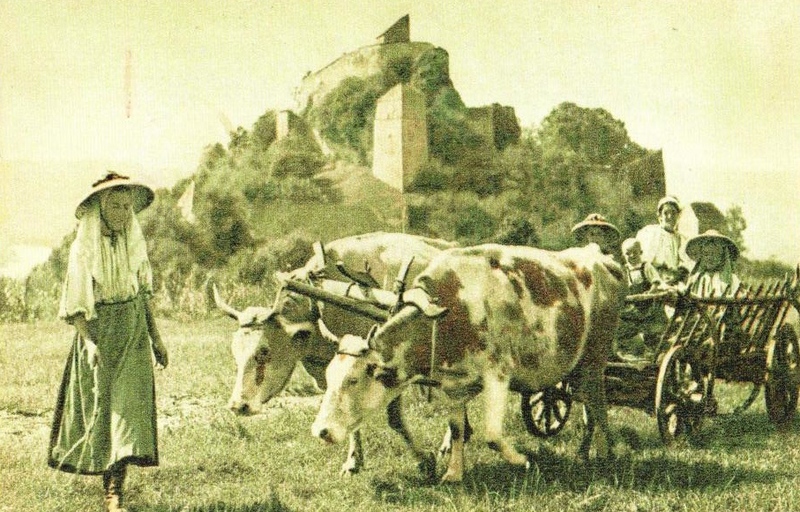 Dated photograph of a group of Transylvanian Saxons and an ox cart near the citadel which lies in the background. Early 20th century photograph of the citadel. The rebel Saxons allied themselves with the Cumans and were led by a brave chieftain known as Henning of Petersdorf (Romanian: Petrești) who opposed the abussive Hungarian authority over the Saxon seats in Transylvania. 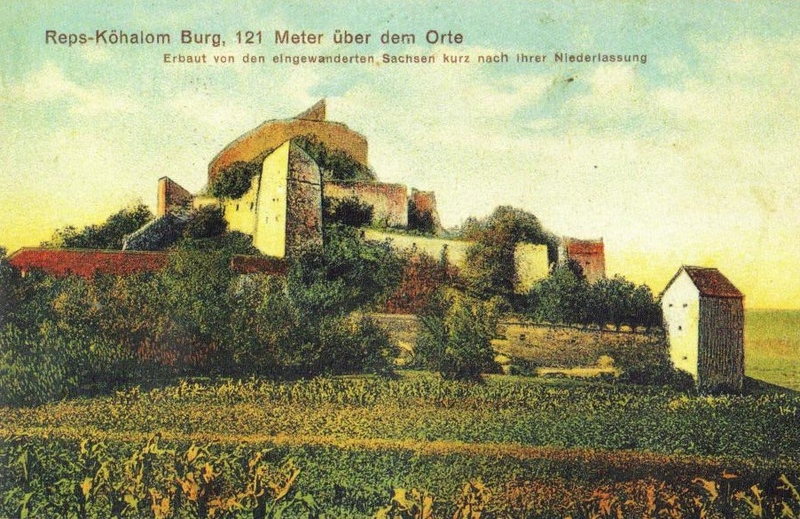 Old German written postcard depicting the citadel. 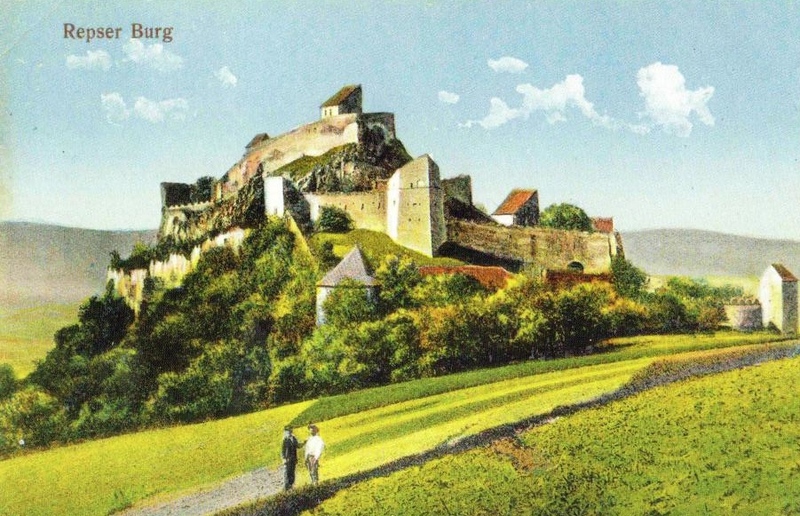 During the Modern Age, the citadel became a possession of the Habsburg Empire and later on of the Austrian Empire. Following the end of World War II, along with the Treaty of Trianon, the citadel passed from Austria-Hungary to the Kingdom of Romania in 1920. Panoramic view of the citadel of Reps/Rupea today, after a restoration programme sponsored by the Romanian government along with the support of the European Union that spanned from 2011 until 2013, when it was reopened to the public.